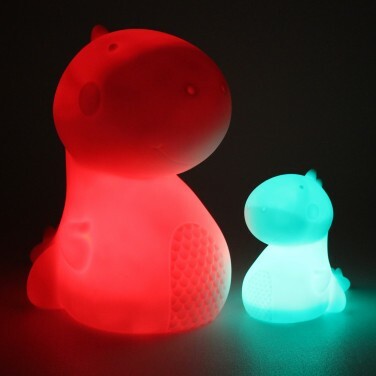 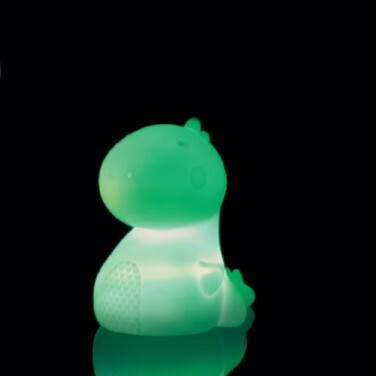 A cute little character for kids rooms, this sweet dinosaur mood light is lit with colour change LEDs for a smooth colour phasing light show. 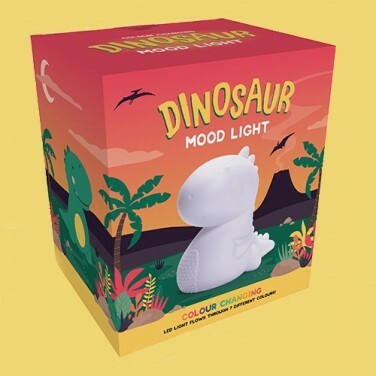 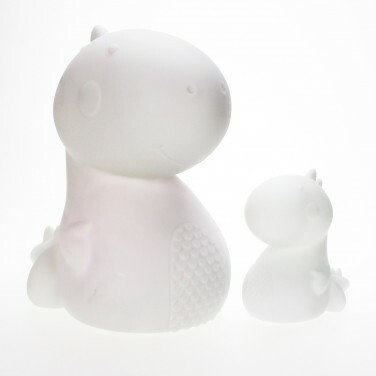 Made from durable soft white plastic and packed with colour changing LEDs, place this cartoon styled dino anywhere in kids rooms for comforting colour change light. 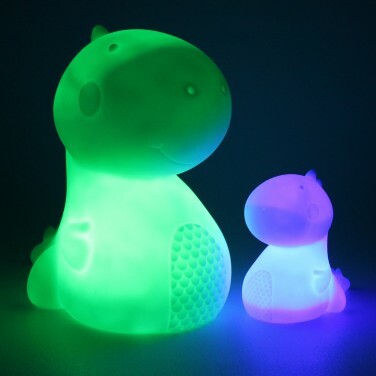 Battery operated and cool to the touch, this colourful dinosaur is safe for even younger children to handle making it the perfect bedtime companion.